Special thanks to Country Garden for the thoughtful post CNY celebration for the Sentul community. The highlight of the day was the Lion Dance Performance which lighted up the Saturday afternoon and captured everybody's attention. After the Lion Dance Performance, Country Garden's representatives together with our volunteers distributed groceries to the community and Ang Paos for children. For more event pictures, check them out on our Facebook page by clicking into Country Garden CNY Celebration with Sentul Community. We are so excited to announce to you that we are in the midst of preparing for our significantly awesome fundraising event - BOLATHON 2014~! 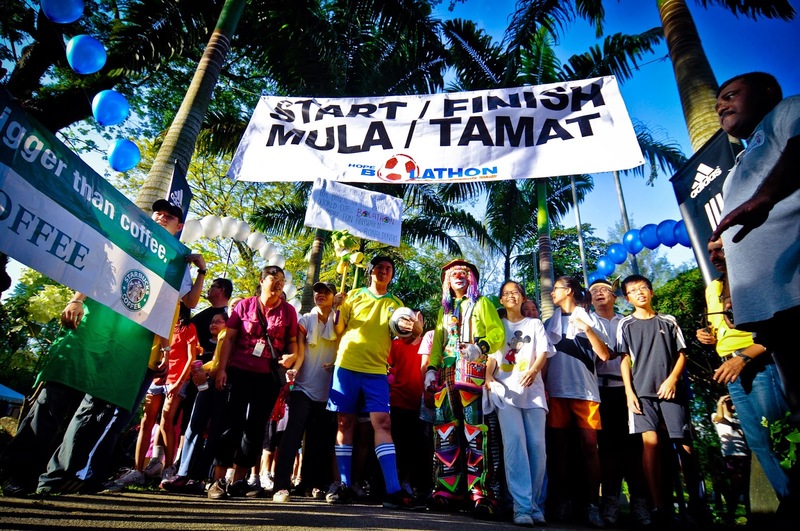 BOLATHON is a fundraising event inspired by the 4-year-once significant occasion – FIFA World Cup. This SPORTS-THEMED event assembles All Nations & Races for a good cause! The participants will dress up themselves with the Football theme (anything with their creativity) and go for a 3KM walkathon. Its Objective is to raise funds for HOPE worldwide Malaysia's Community Programs for the underprivileged which focus on Health Food & Education. Make sure you LIKE & Follow our social media pages before you can catch up our latest updates. Meantime, should you have any sponsorship ideas which would like to propose to us, please feel free to send in your queries or proposal to enquiry@hopeww.org.my or call us at 03-4050 2541, we will be very excited to hear from you!